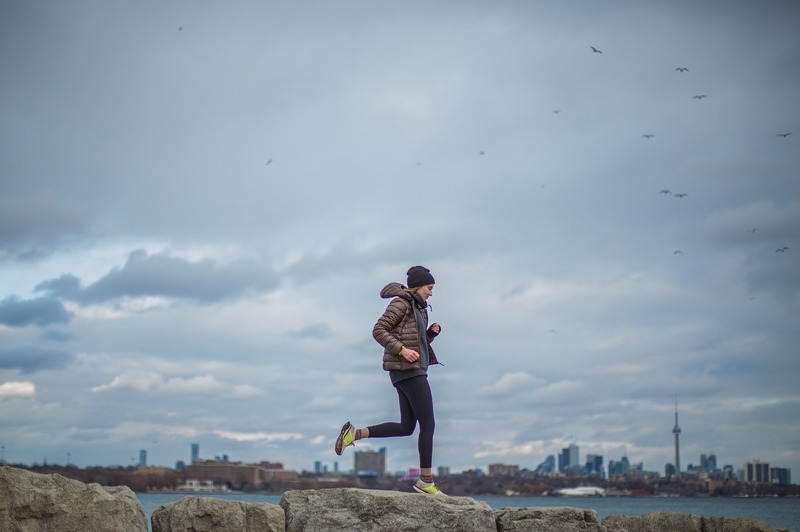 As we all know the warm-up is a crucial part of an effective and safe workout, but when the cold weather sets in getting and keeping warm during exercise – particularly when outside – is not so easy. Feeling the cold can seize the muscles and nip motivation which means you’ll find it hard to sustain effort and endurance levels. So to keep the cold – and unwanted calories – at bay here, are five winter workouts that will keep you warm. There’s more to Hot Yoga than Bikram and with centres and studios opening up all over the country there’s bound to be one – or more – near you. A hot yoga class takes place in a studio that’s heated to an inviting 37 degrees Celsius. On arrival you’re warm and that external heat helps you in a number of ways . The sweat detoxifies the body. The warmth means the muscles move with less strain and the joints release with less resistance. If you’re new to Yoga then select a class for beginners and take it easy on the first few occasions as your body gets accustomed to the new positions and the unusual climate. If you need any Yoga gear to get started then check out the great offers in our Yoga Department here. Barbell workouts like Body Pump and Pump FX are great at getting you warm and keeping you warm. The reason is they work the whole muscle group using a ‘moderate resistance, high reps’ principle. What this means is that there’s far less stopping and starting than a more finely-tuned ‘high weight, low reps’ resistance session. Also, the bigger the muscle the greater the demands it makes for oxygen which elevates the heart rate higher and warms the body more effectively than other types of resistance training. If you can’t get to a class use a barbell at home to enjoy this principle. Moves like squats, lunges, deadlifts and clean & press all access the larger muscles in the body. See how many reps you can manage on a medium resistance. Skipping is a simple aerobic option that will warm you quickly and keep you warm through a workout. If you’re fit and agile, keep going for 10 to 20 minutes and vary your leg movements between jogging, jumping and jacks. Skipping is also a great thing to do in between resistance sets at home if you feel the cold is getting to you. Of all the CV options in the gym rowing is the one that genuinely works your entire body. It’s obvious really when you consider the movement of the legs, backs and arms to complete each row. Rowing gets you warm quickly and keeps you warm for the long-term. 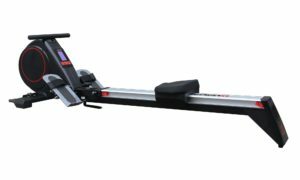 Take a look at the Viavito Rokai, a really versatile, multifunction rowing machine that doubles up as resistance station too. 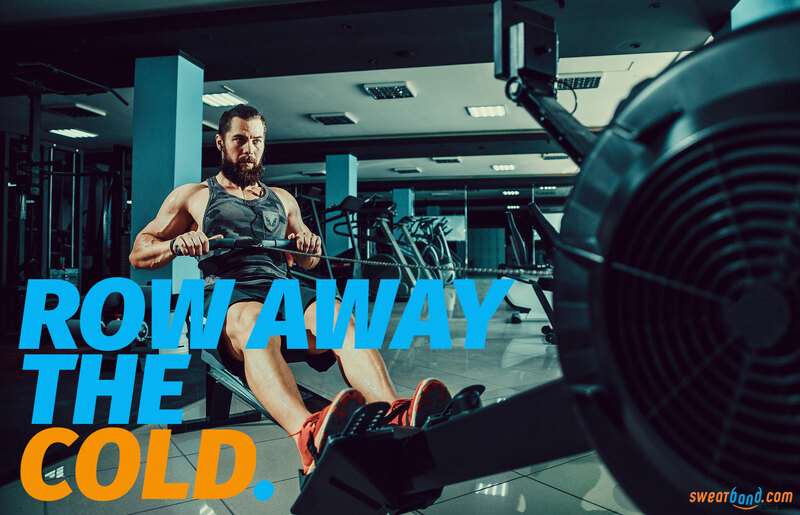 On this you can easily piece together a warming workout consisting of a fast low-resistance row to warm up, a round of upper body exercises, a high-resistance rowing session to keep you warm, then a round of lower body exercises concluding with a final low-resistance row to cool down. Just because it’s cold outside doesn’t mean you’ll be cold if you exercise outside. There are plenty of affordable layer clothing options that can make a winter run as warm as a summer one. Pull on a pair of special socks, pop on some gloves and grab a beanie and you’ll be surprised how quickly you’ll want to remove them as you run. Add a weighted vest and you’ll get warmer even quicker. And don’t forget to take a back pack for the layers you want to lose as you run, jog or power walk round your route. 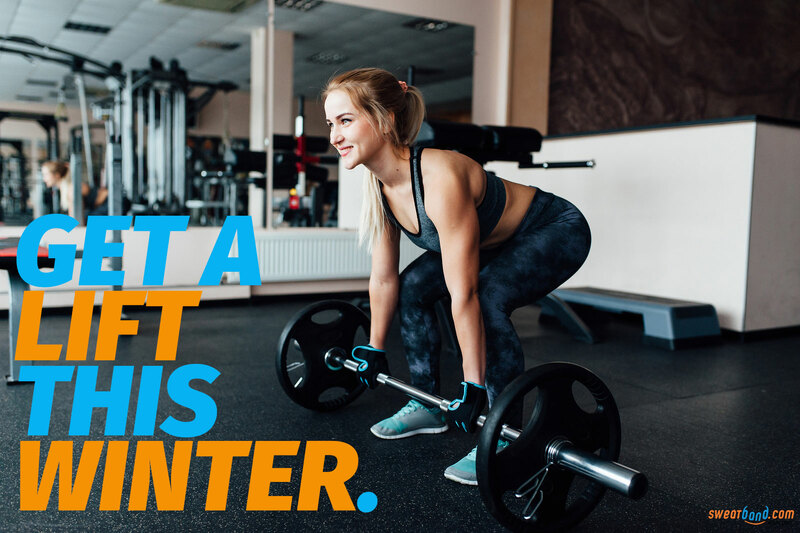 So if you’re feeling the cold this winter, drop the exercise excuses and get warm working out instead!